When crêpes are mention, the first thought is usually towards the sweet thin pancake splatter with chocolate and banana, which I always buy whenever I am around Paris area. So when I had the opportunity to travel to Quimper (a quaint little town in the Bretagne area), a friend brought me to try the Breton Galettes. It brought a whole new dimension on the world of crêperies to me. Initially, I thought galette that he was referring to was the thin biscuit type (which I tried in Japan before). I knew crêpes are a French thing (of course many British could claim the fame to this invention) but I never knew it was originated from Bretagne (Brittany). After some research, I learned that Galettes are from the Upper Bretagne and Crêpes are from the lower Bretagne. 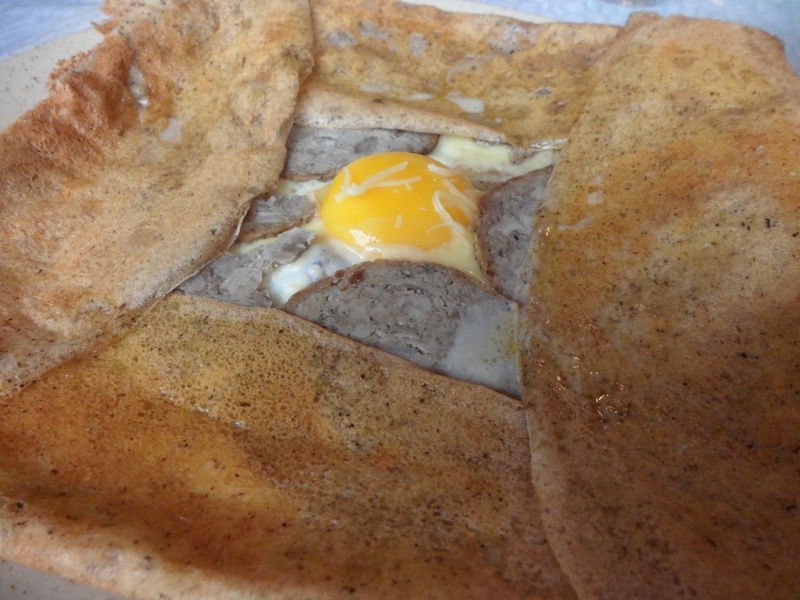 Galettes are usually referring to savoury crêpes made with buckwheat flour. 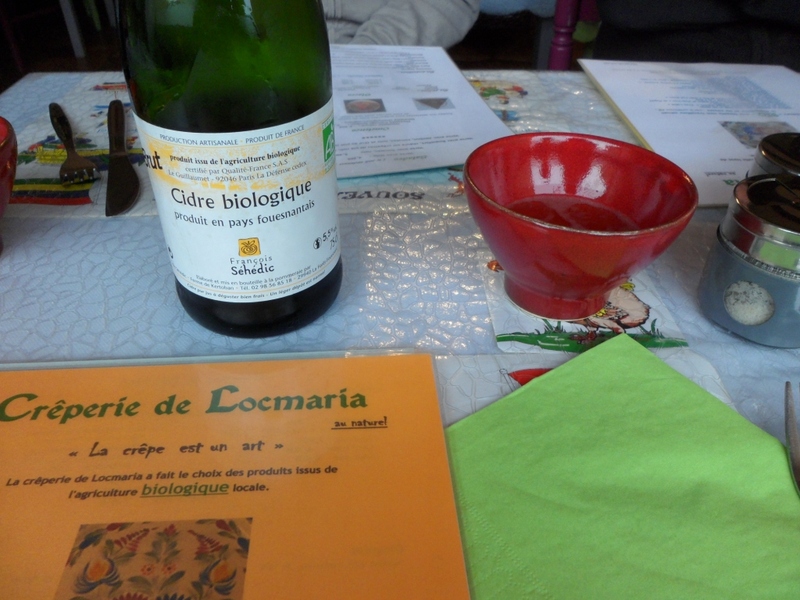 To go with the galette, my friend ordered the cidre (apple cider with 5% alcohol). 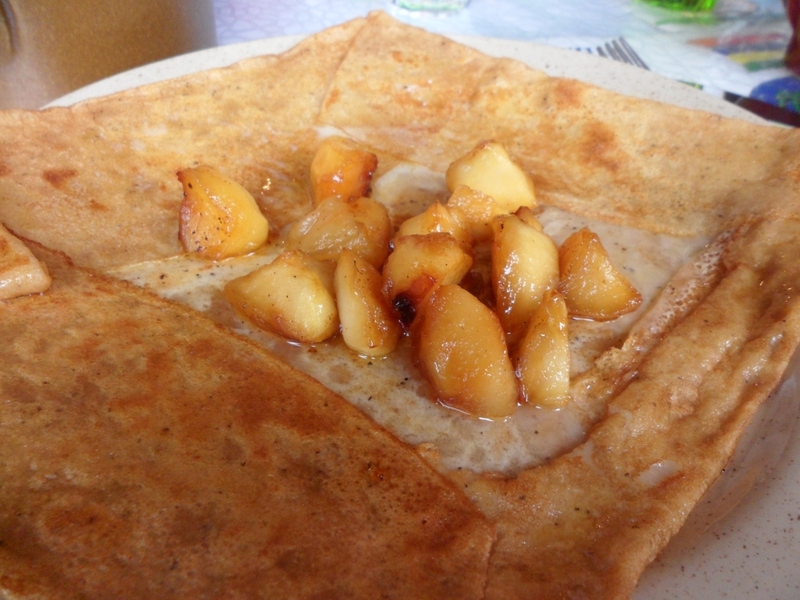 According to him, it is typical to have galette with cidre. The cidre is very interesting and reminds me a lot of sparkling wines I have fromAustralia. It is less sweet and carries a sharp tang. And typically, you have to drink the cidre from a bowl. So, each of us were given a small red ceramic bowl. So cute !!! 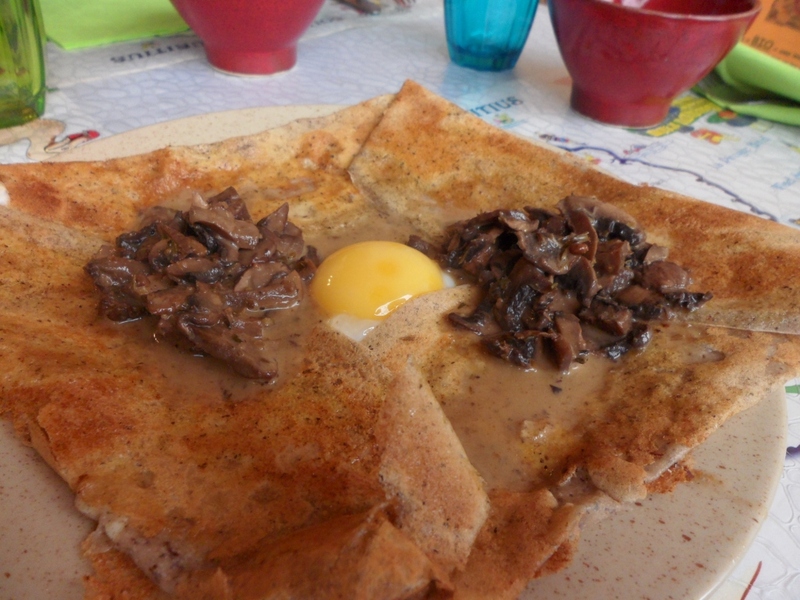 We ordered the Galette with Andouille (typical Bretagne smoked sausage) and sunny side up egg and also Galette with mushroom and egg. I love it !!! It was crispy and light. When you have it with drenched with the runny egg yolk, it was sooooo good. After we polished off our Galettes, it’s dessert time !!! 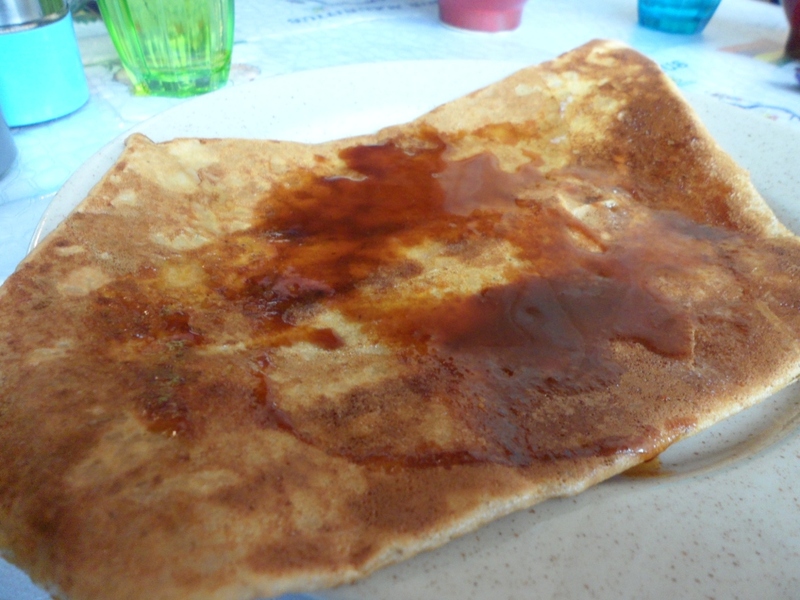 After having crêpes from Bretagne, I see the big difference compare to those I had previously inParis. Those from Bretagne ROCKS !!! The crêpes bretonnes are the very best! I prefer galettes to crepes :P. They do it best in Britanny but you can also find good ones anywhere in Pays-de-la-Loire (Nantes and Angers). I will try and check out pays de la loire when I have the opportunity next time. Thanks for the info.